#Focus5 supports young people in Devon, Plymouth, Torbay and Somerset. 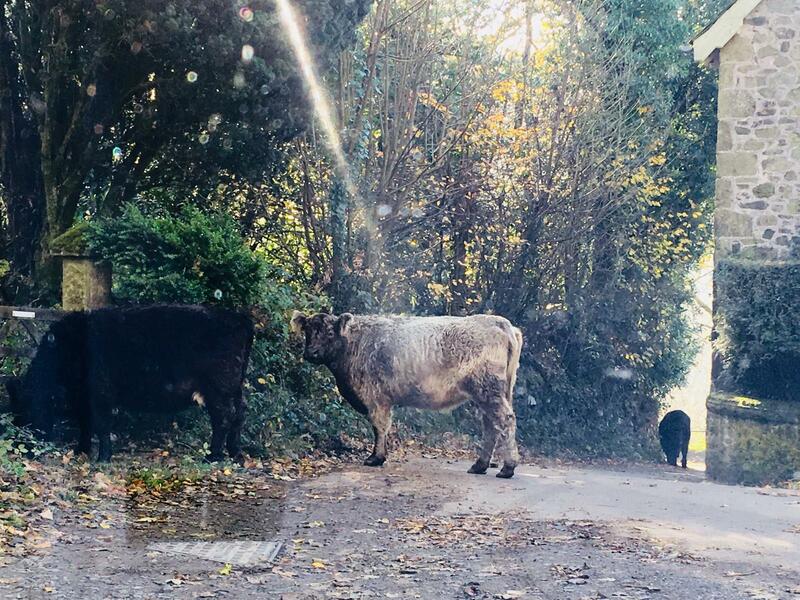 By its nature, this part of the world is very rural so our key workers often find themselves driving down country lanes, bypassing cattle, avoiding floods and getting muddy so they can meet the needs of our young people! We are helping some of the most socially isolated, disadvantaged and vulnerable 15-18 year olds in the Heart of the South West LEP area, encouraging them to take positive steps towards employment, education or training. Many participants struggle with mental health difficulties and find it hard to get outside, so #Focus5 works in a different way to similar projects by visiting young people in their homes. Some of the most disadvantaged young people we support are living in rural areas with little access to public transport or community services. They are reliant on their parents for transport and if that is not forthcoming #Focus5 key workers help them navigate travel solutions to increase their social interaction and future opportunities. Sometimes young people are so isolated that our key workers drive them to and from activities until solutions can be found. Research by the Thomas Coram Research Unit that looked at three cohorts of young people aged between 15-24 living in rural areas in the South West in 2000, found high fares and poor publicity about public transport as well as reliance on parents to be major barriers to accessing education or employment. In addition the researchers found the end of compulsory schooling at age 16 also presented travel problems to those in rural areas with over 40% of young people saying transport issues influenced their decisions about education. The situation remains the same even now. #Focus5 has been helping Brenden, a young man who dropped out of school due to difficulties with ADHD, mental health and confidence. He lives in rural Hemyock and travels by bus early every morning for a 9am start on his Work Based Learning course at Young Devon in the centre of Exeter. The commitment he has shown in organising and motivating himself to travel every day means #Focus5 were able to find him an opportunity that suits his learning style. He is gaining new skills, making new friends and has been interviewing for apprenticeships. He really wants to succeed and isn’t letting his location get in the way. Kieran is a young person supported by #Focus5 who lives in rural Somerset. Being located remotely with no transport and unable to drive he walks for two miles each way, every day, to catch a bus to Taunton for his Project Search internship at Musgrove Park Hospital. Kieran is on the autistic spectrum and has to carefully manage constant anxiety levels. On one of his daily walks to the bus he was attacked by a dog which traumatised him. With help from his #Focus5 key worker he has not only found an opportunity that suits his way of learning but he has also signed up to technology apps such as Brain in Hand, to help him manage his worries and organise his time, including how to cope if you miss that crucial bus or it gets stuck in traffic! In a recent survey of the employers, education and training providers who are working with #Focus5, it was noted that one of the best things about the project is the availability of key workers to support young people in the community and in an ideal world they would like to see them able to spend more time doing so with every participant. This just highlights the unique approach #Focus5 has with helping young people in rural areas achieve results.